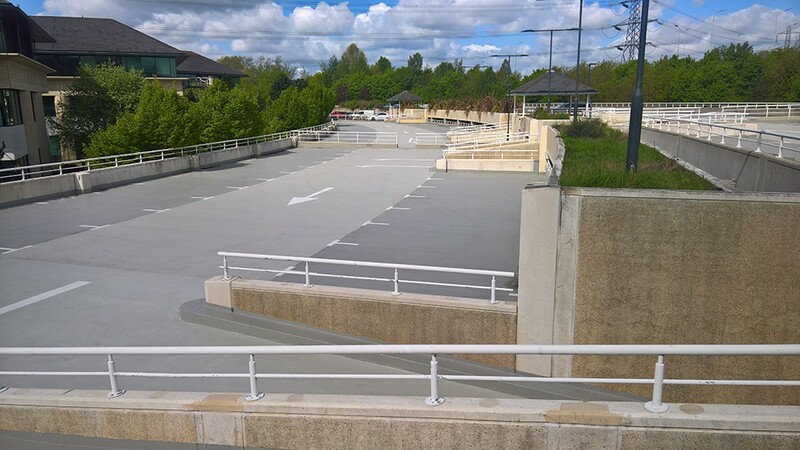 As a result of the vast number of businesses it accommodates, the Arlington Business Park in Reading had endured degradation to its carpark deck and other surrounding features, requiring immediate attention in early 2018. 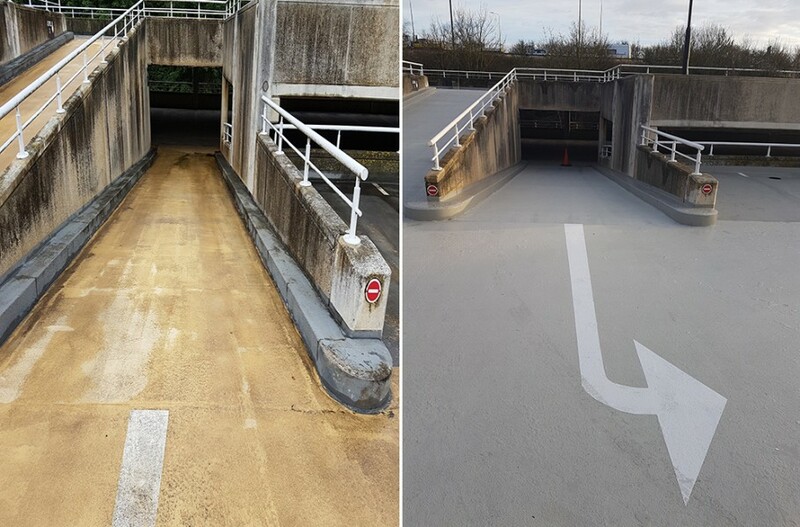 APA Concrete Repairs Ltd were contracted to undertake various surveying, concrete repair and re-surfacing works to two of the multi-storey carparks, as well as remedial works to external elements of the surrounding buildings. 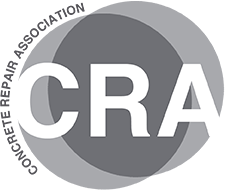 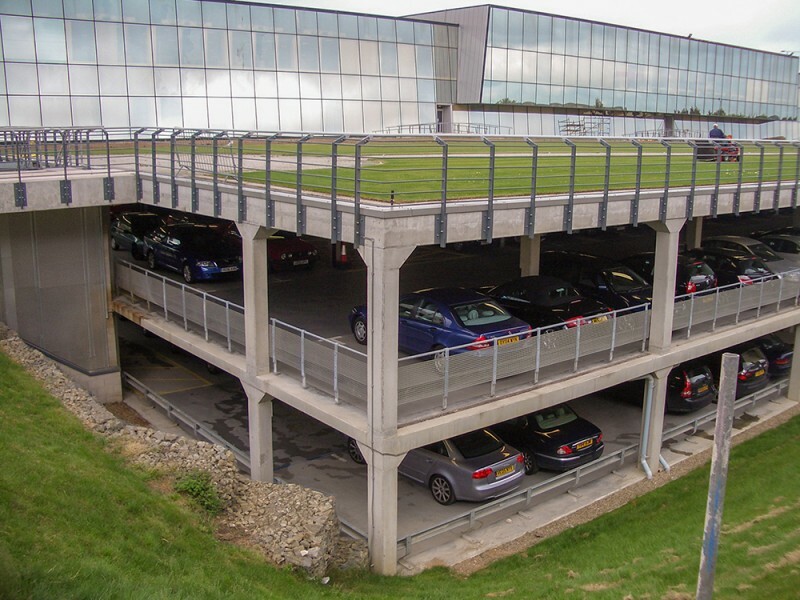 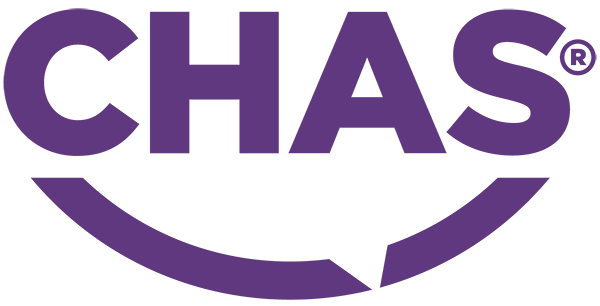 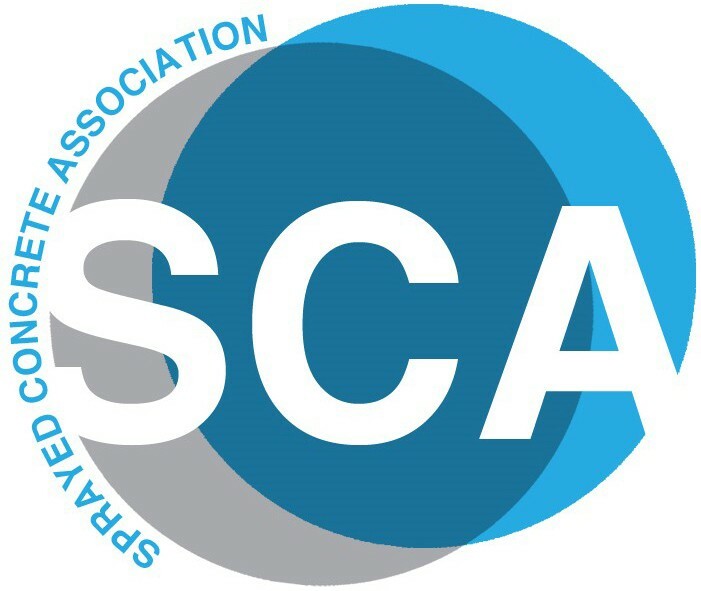 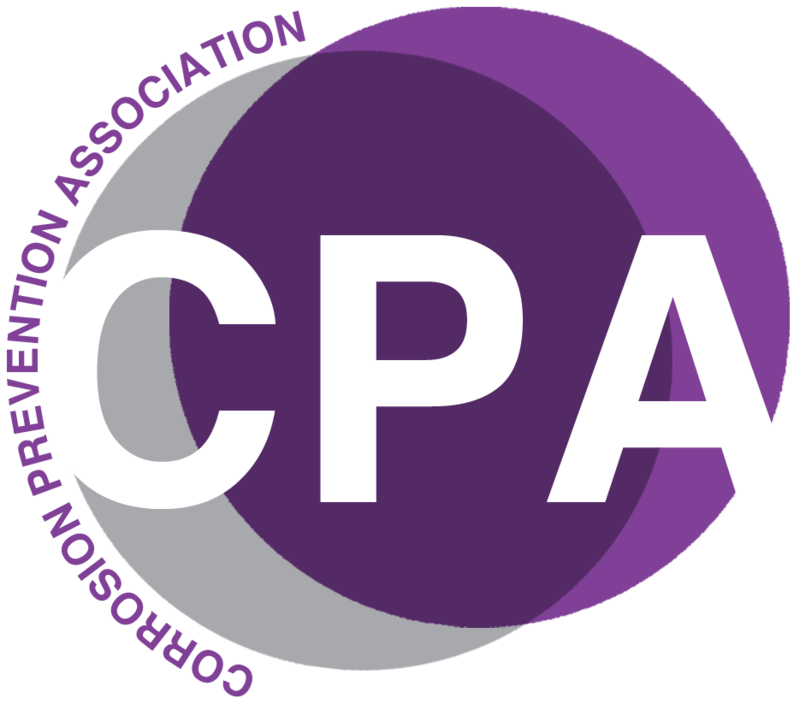 APA first developed a surveying proposal with the aim of testing the carpark decks for the presence of chloride concentrations and half-cell potential, resulting in the provision of a value engineered solution of targeted cathodic protection, saving the client approximately £200,000. 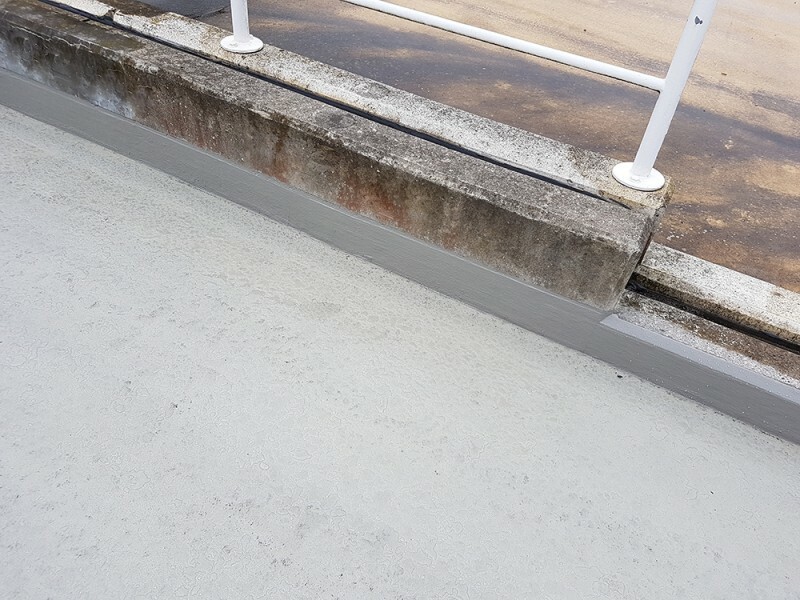 All identified concrete defects were subject to remediation using suitably selected Sika repair mortars. Exposed faces of the steel plates to the undersides of the slabs were then cleaned and inspected and subject to a new steel coating, before new drainage pipes/gullies were installed to the base of the ramps. 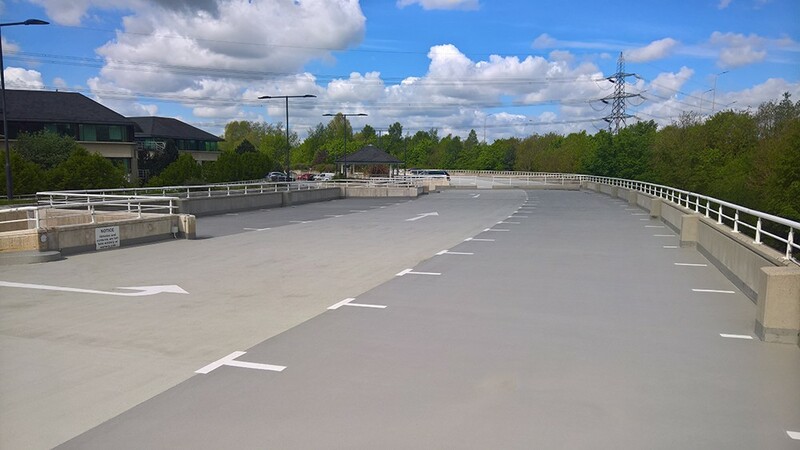 The entire top deck coating of each carpark was removed, hybrid galvanic anodes were installed to each area where high chlorides had been identified, and the deck surfaces were coated with a Tremco MMA Flexible Waterproof System. 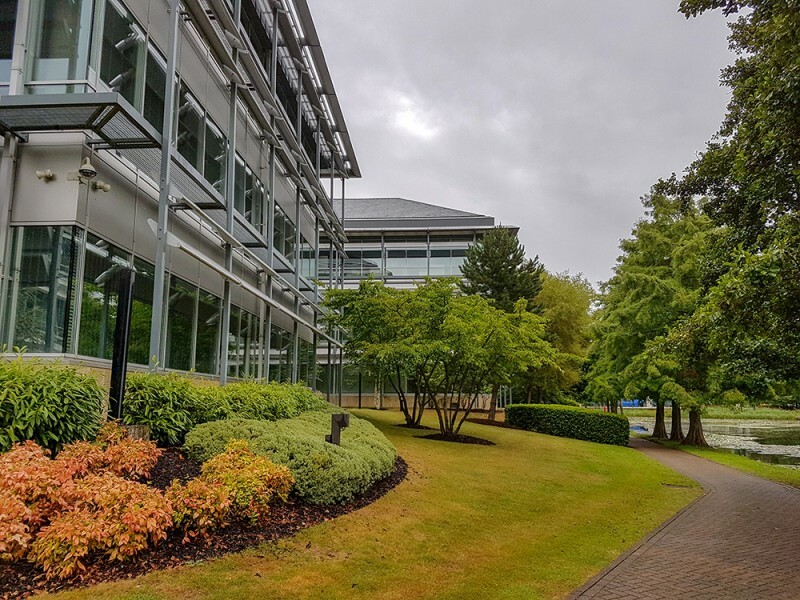 The perimeter gutter system of the office buildings were re-lined with a liquid applied waterproof system and expansion joints and plasterboard ceilings were replaced. 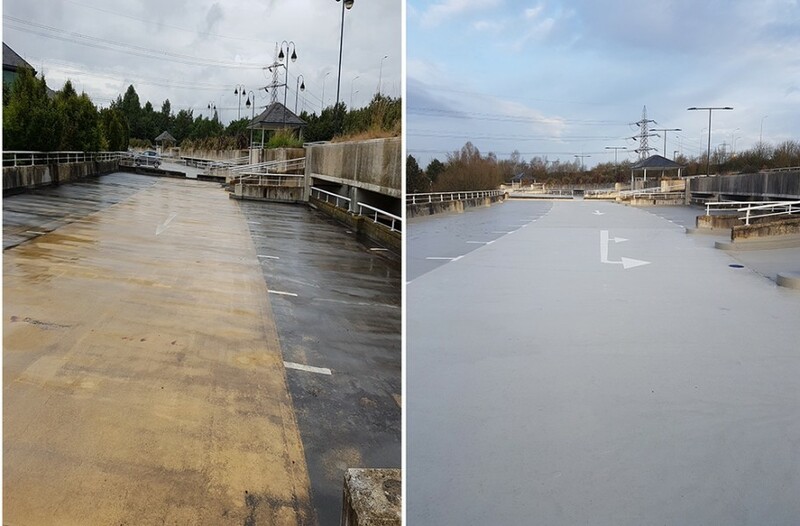 The refurbishment of Arlington Business Park was completed in April 2018, resulting in a vastly improved cark park, complete with enhanced future protection due to the installation of the hybrid cathodic protection system and the new waterproofing system and protective coatings. 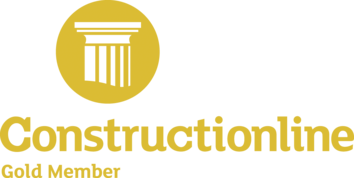 The office buildings were sealed and made good, enabling the existing businesses to operate unhindered and dry as well as attracting new businesses to populate the accommodation.